When your parking lot, or pavements, are beginning to show signs of wear and tear, you need an expert. 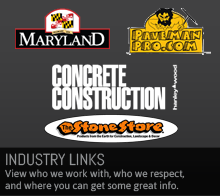 PTG Enterprises has been in the asphalt paving, concrete, and masonry business for more than a decade. We've worked with property managers, architects, and business owners who recognize the need for quality work performed on schedule. Our crews are the best available, and they know how to perform their job the right way, using only the best materials and equipment available. 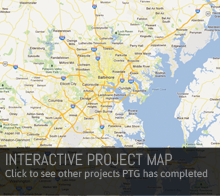 When you contact PTG, we'll meet with you and perform a site visit to ensure we're familiar with every aspect of the project. You'll receive a thorough, detailed estimate and proposal written in an easy to understand format. The next step is simple: we'll show up as scheduled, perform the project as contracted, and leave the client satisfied! 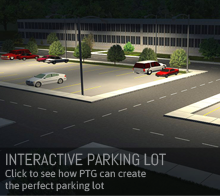 Whether it's laying down a new layer of asphalt, rehabilitating an entire parking lot or resetting a couple of loose bricks, PTG Enterprises has it covered. 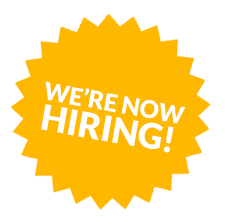 For more information, or to schedule a site visit, contact us today at 410-636-8777 or send us an email! CAI - The Chesapeake Chapter of the Community Associations Institute is a non-profit organization whose mission is to assist Maryland and Eastern Shore communities in promoting harmony, community and responsible leadership. Their core purpose is to provide educational programs, resources, publications and networking events to the volunteers who govern communities and the professionals who support them. IFMA – The International Facility Management Association is the premier professional association for facility management. Supporting the largest community of FM professionals in the industry, IFMA membership comprises more than 17,500 facility professionals throughout 50 countries. MHHA – The Maryland Multi-Housing Association is a professional non-profit trade association established in 1996. They serve the multi-housing industry and our communities by promoting and maintaining the highest professional standards of excellence. They provide education, information, legislative and advocacy services, enabling members to operate successfully while contributing to the community.